THIN PEOPLE CAN HAVE DIABETES, TOO! More than two-thirds of the American population is overweight or obese. About 50 percent have diabetes or pre-diabetes,5 and 1 out of every 3 have high blood pressure.6 Many also have high serum triglycerides, which is a risk factor for heart disease and stroke. 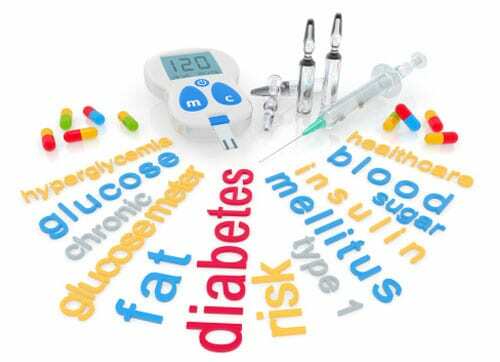 Insulin resistance is a component of all of these health issues. For instance, unfit but otherwise healthy middle-aged adults were able to improve their insulin sensitivity and blood sugar regulation after just two weeks of interval training (three sessions per week).9 A follow-up study also found that interval training positively impacted insulin sensitivity. The study involved people with full-blown type 2 diabetes, and just one interval training session was able to improve blood sugar regulation for the next 24 hours.10 You can actually reap much greater benefits by exercising in short, high-intensity bursts known as intervals than you can exercising for longer periods at a slower steady pace. In addition, your body’s ability to respond to insulin is affected by just one day of excess sitting, which leads your pancreas to produce increased amounts of insulin. Research published in Diabetologia also found that those who sat for the longest periods of time were twice as likely to have diabetes or heart disease, compared to those who sat the least.12 I recommend replacing the majority of your sedentary sitting time with active movement, keeping sitting to three hours a day or less. You may be thin but that doesn’t mean you have more lean muscle than fat in your body. Having a higher percentage of fat than lean muscle can set the stage for insulin resistance.